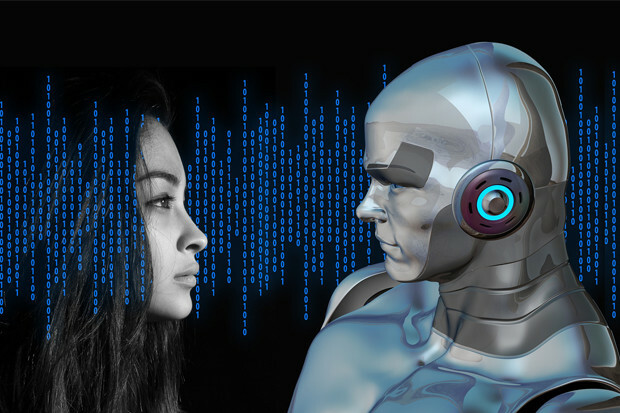 Most journalists think about artificial intelligence as a tool used by large media organisations to sift through huge datasets and churn out masses of stories. We tend not, however, to think about how AI can be used by community journalists. The Craig Newmark Graduate School of Journalism at the City University of New York (CUNY), is hoping to change that after securing a $100,000 grant through the AI and Open News Challenge, an initiative to promote public interest use of AI technology. Sandeep Junnarkar, director of interactive journalism at the Newmark J-School, is heading up the project. He explained that his goal is to teach community journalists about how AI, algorithms and machine learning are both tools in governmental decision-making and newsrooms' day-to-day work. "Imagine a story where one of the central players, one of the most powerful decision-makers and influencers, isn’t even being interviewed or brought into the story," he said. "How is that an accurate story?" Junnarkar is teaching a series of one-day intensive workshops this autumn, initially in urban areas of New York, where community journalists will learn to analyse how AI affects immigrants and low-income groups. As most community journalists juggle jobs, he said, they are paid stipends to take time off to attend. "People aren’t even aware that certain decisions are not made by a person, but by a machine. Where their children are going to school is not decided by someone who is taking the care to know their child, it’s a machine that looks at variables," he explained. "My goal is to make journalists aware there is a technical layer and to become more vocal about wanting that next level to be fair and equitable to people like them, that’s number one. If they are aware of it they can raise a fuss about it if certain things are biased." There are three main bases he intends to cover: what AI is, how to access agencies' algorithms from FOIA requests, and then, understanding how the systems are built and what they mean. "Let’s say a government agency is using an algorithm in child services to decide which houses they need to send social workers to more often. That alone is a story: ‘child welfare is using algorithms to determine frequency of check-ups’. Most community journalists, however, do not have the resources and expertise of, say, The New York Times or ProPublica. This is where Junnarkar's collaborative elements tie in; he enlisted the help of CUNY's computer science department, the Grove School of Engineering, as well as journalists from Buzzfeed News, ProPublica, and Quartz to provide training and technical assistance. "It really is tapping people who are already doing this in their journalism and figuring out how to bring it to a community of journalists who are not so technically savvy," he said. "The goal is to come up with an algorithm that does affect a wide variety of communities and deconstruct it. We’re calling it a ‘publishathon’: the idea is that by the end of the day they will have written a 500-word article so this is not all technical, it’s also conveyance." Junnarkar sets his sights on reaching out to both amateur and experienced community journalists and says both will gain a lot from not having had any prior training in this area. “What they don’t know is that they have to think about artificial intelligence as a source, as someone to talk to and figure out how it came to a decision," he said. The initiative follows other courses at the Newmark school, such as ‘interrogating the algorithm' and 'practical machine learning and artificial intelligence for journalists'. "Innovation should not be left to technologists and journalists who are already technologists. Cutting edge here really means that it needs to reach a wider audience because the impact is going to be so brutal for the communities who are not aware of how AI technology can affect them," he concluded. The school is one of seven projects that have received funding from the Ethics and Governance AI Initiative, a joint project of the MIT Media Lab and the Havard’s Berkman Klein Center for Internet and Society. For those unable to attend, there will be ‘primers’ released in various languages including Spanish, Hindi, and Korean. Interested? Check their website for updates.